The Targa California is one way to combine the necessity to exercise your Classic and experience the beauty and back roads of Central California at the same time. Fashioned after the original Targa Florio in Sicily, the Targa California is about people joining together with their Pre-1976 model cars, and enjoying the automotive experience of back roads, special events, and like minded people that love their cars - all in the atmosphere of having fun with out the pressure of competition. The entire story is done and over 7 seconds into the video. Crash, bang, boom and another near perfect 356 is demolished because of some "need" to race a Classic car around a race track. We have a serious thought for some inventive manufacturing company. You may recall the "International Race of Champions" (IROC) that was run between 1973 and 1980. 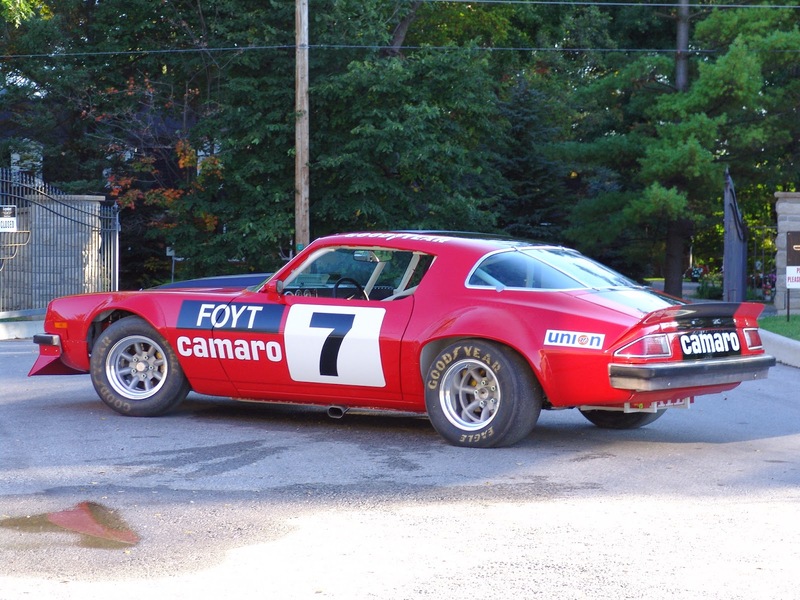 In case you don't, a fleet of identical Z-28 Camaro's were raced prepped by a single team of mechanics and drivers were invited to pilot one of them in a season long series of races in an effort to make the race purely a test of driver ability. Rather than place original Classics on the race track, why not create an engine/body/chassis combo that can be electronically and mechanically adjusted to replicate the power/chassis dynamics/etc. of these Classics. Very few people could afford a Mercedes 300SL Gullwing or similar other Classic and a Porsche 356 and an XKE and a Morgan, but potentially for about the same cost as a really good Classic, almost anyone could buy and race one of these "chameleons" and leave the real ones alone.